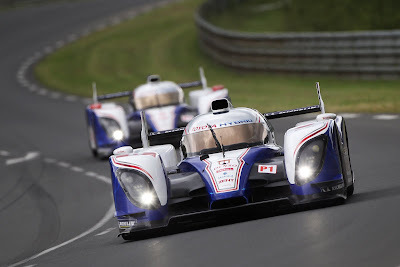 Toyota Hybrid Racing has confirmed its entry into the 2013 FIA World Endurance Championship, including the Le Mans 24 Hours. Entries, including the two Super Capacitor powered TS030 HYBRIDs, were announced by the Automobile Club de l’Ouest at a press conference today in Paris. Toyota Hybrid Racing will retain the same driver line-up, with Alex Wurz, Nicolas Lapierre and Kazuki Nakajima sharing the #7 car and Stéphane Sarrazin, Anthony Davidson and Sébastien Buemi in the #8. More details will follow on 19 February, when the 2013 TOYOTA Racing team is presented for the first time.